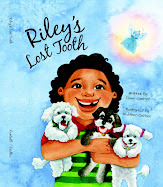 I am very pleased to announce that Riley's Lost Tooth will be launching on March 27, 2010. It seems that I am a gifted struggler. I think too much, analyze too much, and worry way, way too much. Like many children, the public school system wasn’t a very good fit for me. I am random, abstract, not that interested in factual information, and have a strong creative streak (that doesn’t include drawing pictures) of which I, and the rest of the world, was totally unaware. I tend to work better when inspiration strikes rather than by deadlines. In school I was quiet, well behaved, and wasn’t failing, so my inner turmoil and gifts went unnoticed. Being the pleaser that I am, I tried and tried to fit in and do what was demanded and expected of me. I continued on this path well into adulthood. As a result I made many decisions that were incongruent with my nature, often resulting in painful consequences. One day as I was driving to work and yet again struggling over which direction in my life to turn, I heard a voice. Don’t worry, it wasn’t as though I was hallucinating, but “this voice” emanated from some profound inner guidance. The words that came to me were, “All I have to be is me.” I can’t tell you how those simple words moved me and changed my M.O. ”All I have to be is me.” On a very profound level, I realized that my years of worry, struggle, trying to fit in, and please are a waste of precious energy. All I have to be is my random, creative, abstract, questioning self. As I think back to that day and my work with parents and children, I once again realize that the greatest gift we can give our children is the opportunity for them to be and to express their own exquisite uniqueness. Our job as a community is to let our children know that they are okay as they are, they are not broken, and need not be fixed. I know this is not an easy task. We have to socialize our children and teach them healthy boundaries. We have to treat disorders that impede our children from expressing their innate brilliance. We have to arm our children with skills that will allow them to be the responsible and productive beings that they are meant to be. I think the hardest part of providing guidance for our children while respecting their unique gifts, talents, and feelings, is that we adults haven’t truly honored ourselves and learned to depend on our own inner guidance and wisdom. It is the exceptional individual that can do this for themselves and a child. Allow your child time to play and create. Every fiber of a child’s being wants to play for this is a child’s primary expression of language and avenue for learning. Play is the child’s first textbook and the playground is the child’ introduction group to socialization. Play with your child for 30 minutes at least once a week without trying to teach, correct, or promote an agenda. Let your child truly take the lead during this special time. Learn the art of providing empathy to your child. Empathy is powerful on many levels. Really listen. Learn and practice the skills of active listening. Let your child know that they are truly powerful and inspired by not rescuing, hovering, and worrying about them. Accept your child’s unique gifts, quirks, idiosyncrasies, and deficits. Continually ask yourself, “Am I doing this for my benefit or for my child’s benefit. If you are not sure, ask a trusted friend, spouse, coach or counselor. Review your life story. How is your story impacting your ability to inspire and nurture the uniqueness of your child? What needs are not being met in your life?Are you truly accepting of yourself and your perceived faults? Do you attempt to engage in the practice of “nonjudgement”? These are crucial questions to explore for it is very difficult to support a child in the manifestation of their magnificence if we are not yet able honor ourselves and our own splendidness. As I write this I realize that a book could easily be written on each point. Therefore, I am developing a parent-coaching program to address all of these concepts. More information will be coming soon! I strongly believe in the power of a story whether it be through literature, film or one’s life. With that in mind, please view the following youtube video that inspired this newsletter. You won’t be sorry you took a few minutes out of your day for this special treat.